Who says blue is cold and uninviting? 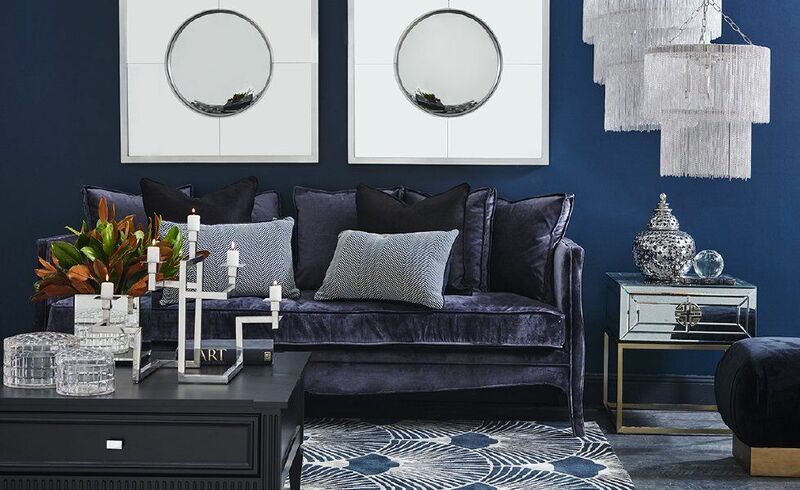 With a blend of rich textures like velvet, chrome, and gold, blue can be a very welcoming tone in any home. To create this bold look, we took a few notes from the Art Deco era, but made it functional for today’s modern lifestyle. The result? A warm, sophisticated retreat where you can unwind and pamper yourself in luxury. If you’re looking to take your space to the next level, give us a call to chat about our personalised design services. We can help incorporate any of your favourite colours into a custom design perfect for your taste and budget. We offer a variety of personal styling options so you can get the help you need at any stage of your redecorating.